Business alarm systems for your house OR business in Stockbridge, GA.
Let’s start here: Stockbridge. Our community in Henry County. Business alarm systems for your house or business in Stockbridge, GA have to have something to DO with Stockbridge, GA—that’s how you get the best, with local knowledge and service. At Advanced Security and Fire, we want to engage with this community, because it’s our community too. We’re proud to have served this town for the last 10 years, and look forward to delivering you the sense of safety we believe all local proprietors need and deserve. We consult the newest technologies, and advise you on the best systems for your home or business. We take care of you from your initial inquiry to the installation, and the maintenance and updates needed thereafter. We have all the resources. Fundamentally, we believe in providing you the greatest alarm service out there. When talking about business alarm systems, we’re not just talking about big businesses. Not everyone is running an enterprise with the CCTV that Tom Cruise knocks out on his Mission: Impossible shenanigans. 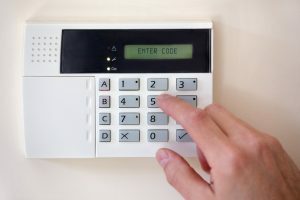 Small businesses and homeowners have unique needs, too, and in today’s market the alarm systems to do the job are accessible to anyone. What do I need to know about business alarm systems? Custom installation is even more important for businesses, particularly after a full evaluation of your company’s needs. It’s normally businesses that are able to invest a little more in their security systems, but today, even alarms that are marketed toward businesses have very real applications for homeowners—particularly those who work from home, or run their small businesses from their private property. Business alarm systems are more robust than ever, and offer both business and homeowners the peace of mind that we work to promote in the Stockbridge, Georgia area. If you need a system update, or are considering your first-ever alarm system, talk to us to get started with the local knowledge that makes the difference.